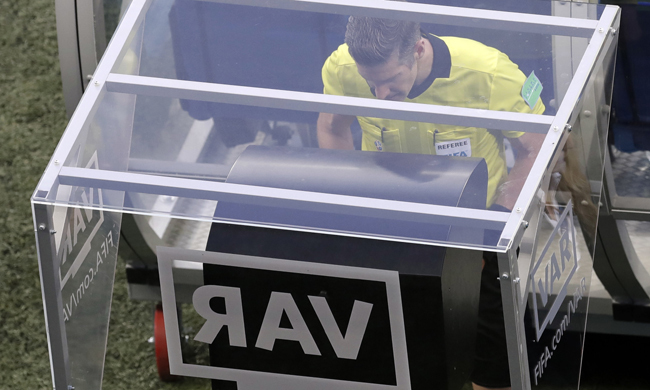 Critics of the Video Assistant Referee (VAR) system were handed ample ammunition when Serbia were somehow denied what appeared a blatant penalty in their defeat to Switzerland on Friday. "As far as the referee is concerned, it is not up to me to comment or to berate the referee, it is up to you to assess that," he told reporters. "I understand maybe the referee didn’t see it, but that’s why we put VAR on. What are (those) guys doing up there?" Milosevic was quoted as saying in the media. "Two decisions in two games is too much. This is a World Cup." Former England and Manchester United defender Rio Ferdinand described the failure to award a penalty as "a mugging". "I think it had to go to VAR. I don't know what the people (VAR) making the decisions are doing but they need to look at themselves because there's two people wrestling Mitrovic," Ferdinand said while working for the BBC. "That's a mugging on the streets, it's unbelievable," he added. The decision drew comparisons with a similar incident in England's game against Tunisia when striker Harry Kane was wrestled to the ground by a defender in the area without being awarded a penalty. "It's a foul - I can't believe it wasn't given. "I think it is a clear view from the referee and the centre back isn't even looking at the ball. He's just holding Mitrovic."